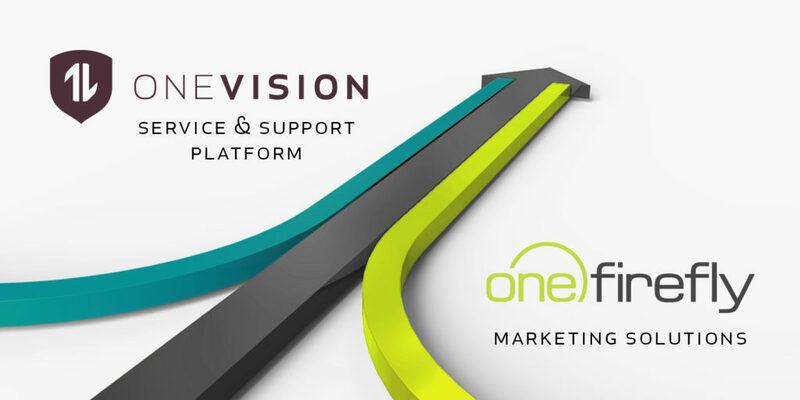 OneVision Resources | KMB Communications, Inc.
Website visitors utilizing One Firefly’s award-winning manned live-chat solution (“Lead Concierge”) will now have support and service requests re-routed directly to OneVision’s industry-leading white label 24/7 support team. Additionally, One Firefly and OneVision have combined forces to create a beautiful new support experience web page highlighting the world-class service solutions provided by OneVision partners. Customers utilizing One Firefly’s website and Lead Concierge services along with OneVision’s service solution will immediately realize the benefits of this partnership. Collectively, these new turnkey offerings provide clients with faster access to support as well as a better understanding of the critical role service plays in the client experience. The newly announced collaboration between One Firefly and OneVision represents a major step forward for the industry. By better integrating their services directly, the two companies provide their shared customers with a previously unmatched and improved customer experience. OneVision Resources’ comprehensive platform empowers home technology professionals, giving them the services, processes, and technologies they need to provide round-the-clock support, avoid burnout, and build a more sustainable and profitable business. OneVision’s comprehensive service delivery model combines the latest in service technology with a world-class remote support team, allowing them to not only monitor, and manage their clients’ home environments seamlessly, but scale rapidly and profitably. OneVision and its growing network of partners support tens of thousands of homes across North America. For more information, visit www.onevisionresources.com. Boston, MA (June 2018) OneVision Resources, the leading provider of service and support solutions for home technology professionals (HTPs), announces SnapAV OvrC support, an industry-leading remote systems management (RSM) solution. Combining OneVision’s transformative service platform with the powerful support and management features of OvrC gives HTPs a turnkey solution to the service problem. HTPs using SnapAV OvrC can now join the OneVision platform to transform their service departments into profit centers while simultaneously improving company culture and elevating their client-service experience. The growing demand for round-the-clock support is taxing today’s HTP like never before. Eroding employee morale, pressuring operating margins, and pulling resources from high-margin projects and important company initiatives, the service problem represents one of the biggest challenges faced by HTPs today. These factors have made the growth of RSM solutions one of the most important trends in the home technology channel. The remote troubleshooting and management features provided by these solutions allow HTPs to lower support costs and an improve their client experience. However, while RSM is a foundational piece of any effective service operation, the technology only reaches its maximum potential when combined with a comprehensive strategy designed to tackle every facet of the service problem. By addressing service in this holistic way, HTPs can convert service from one of their biggest challenges to one of their biggest opportunities, allowing them to differentiate their companies and create new revenue streams through the sale of premium services. The new partnership between OvrC and OneVision addresses this growing challenge by combining OvrC’s sophisticated troubleshooting and diagnostic tools with OneVision’s industry-leading service platform. Making this partnership possible is OvrC’s new “groups and permissions” feature set which will allow HTPs to grant access to their monitored sites to OneVision’s team of service and support experts. This access enables OneVision to leverage the full feature set of OvrC to monitor and manage client homes on the HTP’s behalf. In addition to leveraging SnapAV OvrC to provide 24/7 monitoring and support, OneVision’s team of service experts work closely with employees throughout the company to implement a proven service playbook. With OneVision leading the development of the service department, the burden-of-service is removed for HTPs, allowing them to maintain an increased focus on their projects, sales, and other high-level operational initiatives. Combing OneVision and SnapAV OvrC provides HTPs with a path to transformational change, streamlining their service operations and providing a framework to convert new and legacy clients alike into a more profitable service delivery model. OneVision’s platform tackles the service problem in its entirety with a proven operational playbook, enterprise-class software implementation, RMR marketing and subscription management, and ongoing training for everyone in the company from leadership and sales to projects and service staff. This turnkey strategy removes the burden of service, bolsters company profitability, and enhance the client experience. To incorporate your SnapAV OvrC deployments into a proven strategy designed to generate RMR and transform your company’s relationship with service, get in touch today by visiting onevisionresources.com/contact. OneVision Resources empowers home technology professionals, giving them the technology platform, services, and processes they need to simplify home technology management and deliver exceptional service to their clients. OneVision’s comprehensive platform combines the latest in service technology with a world-class remote support team, allowing them to not only remotely monitor, manage, and secure their client’s home environments in a seamless manner, but scale rapidly and profitably. OneVision and its 40+ partners support more than 35,000 connected homes. OneVision Resources, a leading provider of service and support solutions for home technology professionals introduces live-streaming video tech support enhanced by augmented reality. Taking the delivery of remote tech support to the next level, OneVision has integrated this powerful new capability into its comprehensive service platform, improving the service experience for the 35,000+ homes it currently supports. The addition of AR-powered video support to the OneVision Platform is yet another illustration of the company’s market-leading position when it comes to delivering white-glove, emotionally intelligent, and technically knowledgeable service in a highly-efficient manner. OneVision specialists can now utilize this new tool during service and support events to collaboratively identify, analyze, and resolve issues with smart-home owners using the built-in camera on their iOS or Android mobile devices. AR-powered video support supplements the industry-best remote monitoring, management, and troubleshooting practices already employed as part of their 24/7 white-label help-desk. This enables OneVision to provide a level of remote support and service unmatched in the industry, ensuring a positive a technology experience for consumers and a competitive edge for all integrators within the OneVision network. This enhancement to the OneVision offering gives its technology specialists several advantages. For instance, OneVision specialists will no longer have to rely on a homeowner’s perception or ability to accurately describe a technology issue. Instead, OneVision Specialists will now be able to see actual system status, including status lights and error messages, and can directly experience the issues consumers are facing, which enables faster resolution. “Smart home technologies have evolved rapidly over a relatively short amount of time. Most consumers are not prepared to properly troubleshoot issues and end up frustrated or worse, giving up on the technology altogether. All too often, they can’t tell service specialists exactly what they are experiencing which leads to frustration and wasted time. 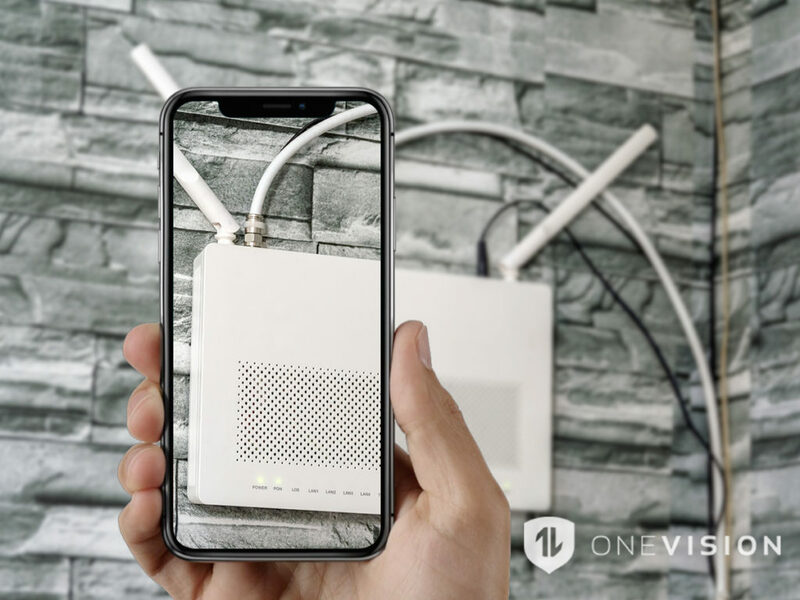 With the introduction of this video-support tool, our offering has evolved to not just keep pace but lead the pack when it comes to providing world-class technology management in the home,” says OneVision’s founder and CEO Joseph Kolchinsky. Home and network security and personal privacy is, undoubtedly, a critical consideration when it comes to remote managed services. OneVision’s video-support tool uses a single-use access code that ensures the homeowner maintains control of the call, including when and if to enable a video session with the specialist. The homeowner determines what the specialist can see and has the option to turn off the remote support session at any time. As always, the networking monitoring software and appliances used by OneVision are protected with industry-leading security and encryption protocols. Adding augmented reality (AR) capabilities to the concept of video support is not just about leveraging the latest tools to drive efficiency. For OneVision, this powerful technology is being harnessed to deliver an exceptional support experience for consumers. “OneVision’s new AR-powered video support offering makes the service experience more efficient, more effective, and more personalized. This represents the next phase in a rapidly evolving segment of the smart home service industry, where integrators must keep pace with technology to continue exceeding client expectations,” concludes Kolchinsky.